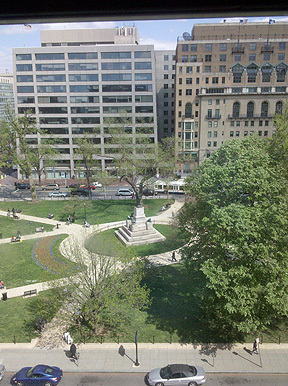 On prestigious Farragut Square, walk to White House and all Metro Subway Lines. Very high end professional suites primarily catering to lawyers, lobbyists and corporate CEOs. Legal Administrator and WestLaw Library on premises. Short and long term leases are available, including identity programs. 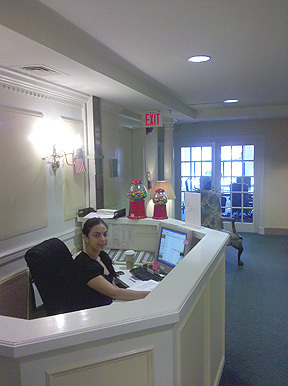 Photo of reception area. Photo of conference room. Photo of view from windows. 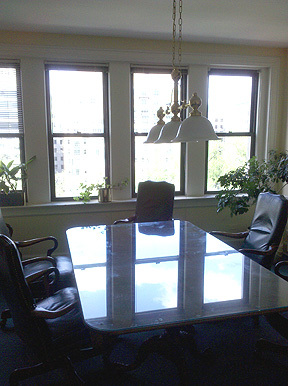 Lawyers' Choice Suites Inc. is a full brokerage real estate company that can also locate affordable sublease office space opportunities within Washington DC, specializing in attorney office spaces.